I regularly buy The Daily Telegraph – once a week, on a Saturday. Not for its political opinions I hasten to add, I’d be just as happy to read The Independent, although I usually find Charles Moore’s views eminently sensible. No, I buy it primarily for the chance to do the Prize Crossword (I’m an avid fan) and because the Review section contains the week’s TV guide. The same Review also provides an ongoing insight into the world of books and after I’ve read the headlines this is the next thing I turn to. A recent edition proved particularly fruitful as it included a ten-page special on fiction about to be released this autumn, but what started out as a potential reading list turned into a major thought provoking exercise and may well change the way I work. That September brings a slew of book launches comes as no surprise. Our sleepy summer is over and we have woken up to find that the children are back at school and Christmas is looming on the horizon. What better idea for a present than something to read. My interest however, lies in the fact that I need to keep up to date professionally plus I have two reviews every month to do for Book Talk and good material can be hard to find. Here were eight ready-made opportunities – and they were all in the genre I tend to inhabit ie. literary fiction. I emerged from my Sunday morning perusal with two distinct possibilities, one maybe, five definite rejections and the nagging question as to why I had made these particular choices and why these writers had chosen to write what they did. As we know, what appeals to us in literary terms is a very individual thing and what resonates with me will not necessarily suit someone else. I have never been able to get to grips with Martin Amis or Will Self for instance, either in terms of style or content, so The Zone of Interest and Shark were not for me. I avoid anything futuristic so Howard Jacobson’s J and David Mitchell’s The Bone Clocks also fell by the wayside. As for Ali Smith (How to be Both), her novel involves duality of both gender and time, ‘in the best modernist tradition’ I was told. So much so that it will apparently be a matter of chance as to which narrative readers will encounter first – half the copies of her book are published in one order, half in the other. Hmm … I confess to having an interest in ‘the modernist tradition’ if only to compare it with trends in the art world and I intend that to be the subject of a separate piece, but I don’t think I actually want to read the book. So what do I want to read? I’m always intrigued by Ian McEwan so The Children Act is on my list. I’ve never read Sarah Waters but The Paying Guests sounds good. I seem to recall that an earlier work of hers, The Little Stranger, is on a bookshelf somewhere so that might provide a good introduction to her style. My one maybe is Rachel Cusk and Outline, the reason being that the book is a series of conversations designed to show how self-effacing its narrator (and presumably modern womanhood) can be. And since this is a conceit that is bound to annoy me, it’s probably best avoided. I am at least clear as to why I made these choices. They are all realistic (nothing surreal or futuristic here), they all deal with human relationships and they are all reasonably contemporary ie. set within this or the last century. The reason I am drawn to such books, I have discovered, is that they might help explain the world as it is to me. But is that why the authors wrote them? Did they set out with that particular intention or did it just happen accidentally? What caused them to choose their time, place and subject? Why do they write what they do? Why indeed do they write at all? The critics usually take delight in implying some kind of purpose to these things. Why else would critics exist? The Children Act is alleged to be a thinly-disguised tirade against religion. Sarah Waters is known for inserting lesbianism into contexts where it has previously been impossible to do so, while Rachel Cusk’s work is held to be blatantly autobiographical. Whether this was what the respective authors set out to achieve when they wrote their books is open to question. Perhaps there were psychological factors at work. Maybe they just had something on their minds, wanted to set it down on paper and decided to let the critics sort out what it was actually about later on. In the introduction to my copy of The Sound and the Fury (William Faulkner), Richard Hughes tells the story of a celebrated Russian dancer who was asked what she meant by a certain dance. She answered with some exasperation, ‘If I could say it in so many words, do you think I should take the very great trouble of dancing it?’ Could things really be as simple as that? Up until recently I thought I knew why I write. Firstly, it gives me purpose. Purpose is a wonderful thing. Without it we wither away, in every sense. Secondly, it’s a form of self-expression. It’s one of the ways I let myself, and others, know who I am and what I’m about. There are stories in my head I was (and still am) desperate to tell but I don’t necessarily know what they mean. I’ve said in my various biographical notes that my only intention was to entertain the reader and that I had no political or moral message to convey, or at least, none that I was aware of. More recently, and particularly in light of the above, I’ve come to think differently. 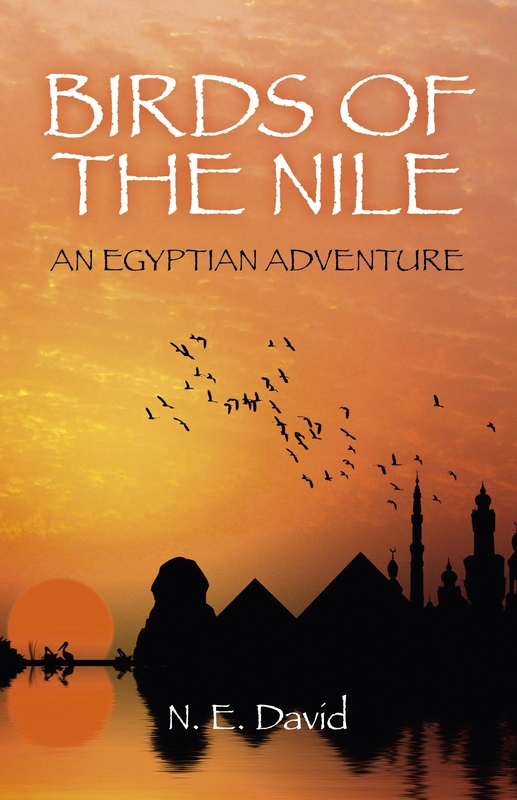 Yes, my shorter works, the novellas, probably are pure entertainment but a serious novel like Birds of the Nile needs something more than that to sustain it. I came to realise, after it had been published, that it was in fact an exploration of the character of Michael Blake. I was still trying to entertain my audience because I needed them to continue reading but through the story I was telling I was hoping that they would ‘get’ him as a person. Now, when someone has read the book and tells me that they do, it’s a source of immense satisfaction. And I think I know why. Michael Blake is clearly an extension of my own personality. I am a large part of him and he is a large part of me. So when someone tells me they understand him they are in effect saying that they understand me. So in just the same way that I read the books of other authors to try and understand their world, perhaps I write novels so that other people can try and understand mine. And if this puts me closer to Rachel Cusk than the rest, so be it. Although my books are by no means intended to be autobiographical. I may be a keen bird-watcher and I may have been on a trip on the Nile, but I wasn’t caught up in the Egyptian revolution, I haven’t gone blind and I certainly didn’t fall in love with a Malaysian student half my age. My life informs my work rather than defines it, although I still can’t escape the thought that my own beliefs and feelings somehow seep into those of my protagonists and that however inadvertently, I am surreptitiously passing these on to my reader. If my reader can gain something from that, so much the better, but let me assure you, there is no deliberate message. There may well be one hidden in there somewhere, but like the Russian dancer, I’m not sure I know what it is. One day a critic might read my work (I wish!) and tell me what my books are about and what it is I’ve been trying to say – the literary equivalent of a visit to a psychiatrist if you like. In the meanwhile, I know enough about things to conclude that I should cease this pretence that my books are merely entertainment and get on and change my biography. 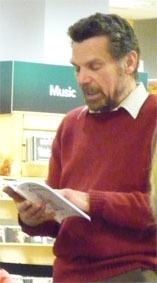 N.E.David is the pen name of York author Nick David. Nick tried his hand at writing at the age of 21 but like so many things in life, it did not work out first time round. Following the death of his father in 2005, he took it up again and has been successful in having a series of short novellas published both in print and online. Besides being a regular contributor to Literary Festivals and open mics in the North East Region, Nick is also a founder member of York Authors and co-presenter of Book Talk on BBC Radio York. 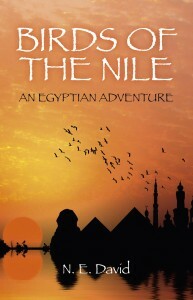 His debut novel, Birds of the Nile, is published by Roundfire. His website is here and you can follow him on Twitter. 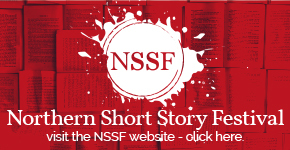 Previous story Morley Literature Festival on now!